From mixing to sipping, tasting to pouring, welcome to The Proof! Whether you’re an aficionado or just love beer, wine and spirits, The Proof is your one stop for all the latest industry news directly from our experts. It’s like having a friend who’s in the know – who can help you find the perfect pairing. Plus, you’ll be the first to find out about our exclusive in-store and Schnucks-sponsored events! We invite you to stick around, learn something new and enjoy what we have to share with The Proof. You’ll find our wine and beer experts at many of our grocery stores and right here at The Proof! We’re proud of the fact that we have we have more Certified Specialists of Wine (CSW) than any local grocer. To prove their expertise and be certified, they have to pass a rigorous exam. They’ll be happy to help you find some wonderful new wines in-store and online. 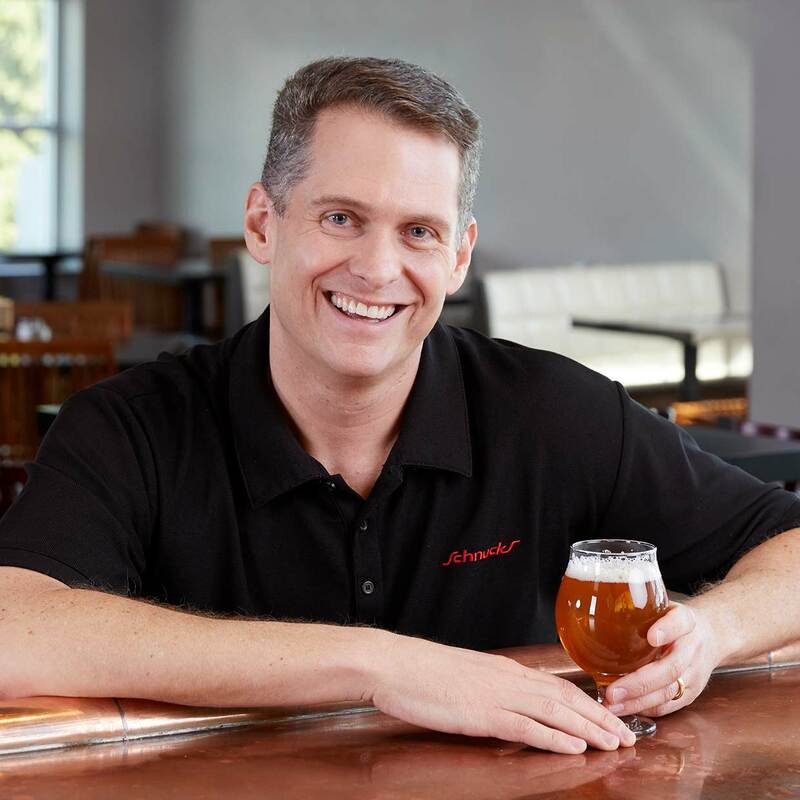 You can also count on our Certified Beer Servers, who have gone through their own certification process, for the latest news and ideas to help you find new craft or specialty beers. Stephen passed the CSW exam in 2006 and the Certified Wine Educator (CWE) exam in 2009. He is also an Advanced Sommelier through the Court of Master Sommeliers. Sure, he knows his wine, but he's also a fan of bourbon. He provided three recommendations. A Certified Specialist of Wine (CSW) and Certified Beer Server (CBS), Gary is frequently asked, “What wines or beers pair with different foods?” He's got your answer. Barb has been a Certified Specialist of Wine for 5 years and is committed to providing the best answer to your most pressing question ... "What's new?" When did you start having an interest in wine/beer/spirits? I’ve long been a fan of beer and spirits, but until the mid 1990’s I really only dabbled in wine. California wine vintages from ’94 through ’97 really opened my eyes to the wide variance in wine quality. Now, I am drinking alcohol that is produced and bottled in all corners of the globe. I love all styles of beer yet favor beers with a malty profile rather than hoppy. I’m excited about the growing cocktail culture and a return to the classics like Bourbon and Gin. Simple, the influence people and mother nature have over the resulting products. All categories of alcohol take on characteristics from where the liquid is sourced. It’s fascinating to me how beer, wine and spirits are all impacted by local water sources, temperature variations, aging/barrel influences and the artistic women and men who create such tasty beverages. How long have you been the Director of Wine, Spirits and Beer at Schnucks? I’ve led the Beverage Alcohol Department for about 11 years. Can you describe the road you took to get to this position? I started as a Courtesy Clerk with Schnucks over 30 years ago. Many of our stores have a customer base with an enthusiasm and passion for learning about and trying new things. It was this experience in a few stores which led to my pursuit of knowledge in order to keep up with many of our discerning and educated customers. Eventually, I moved to the Store Support Center as an analyst for beverages, and I held a couple other management roles before leading the Beverage Alcohol Department. Stay in touch. Follow me on Twitter @spiritssipssuds. I have always been partial to beer since I began drinking in college more than 20 years ago. Around 2011, I began to take a greater interest in the subject and started my journey of studying and training to become a beer expert. In October 2012, I was officially awarded the title of Certified Cicerone. Since then, I have expanded my horizons as a drinker and now enjoy whiskeys of all sorts as well. I also enjoy wine and cocktails, but more experientially than academically. Why did you go on the journey to become a Certified Cicerone and what does it take to earn the title? At Schnucks, every teammate is challenged to become a “food expert”. This is a very broad expectation and teammates pursue anything from being a specialty cheesemonger to a meat cutter. 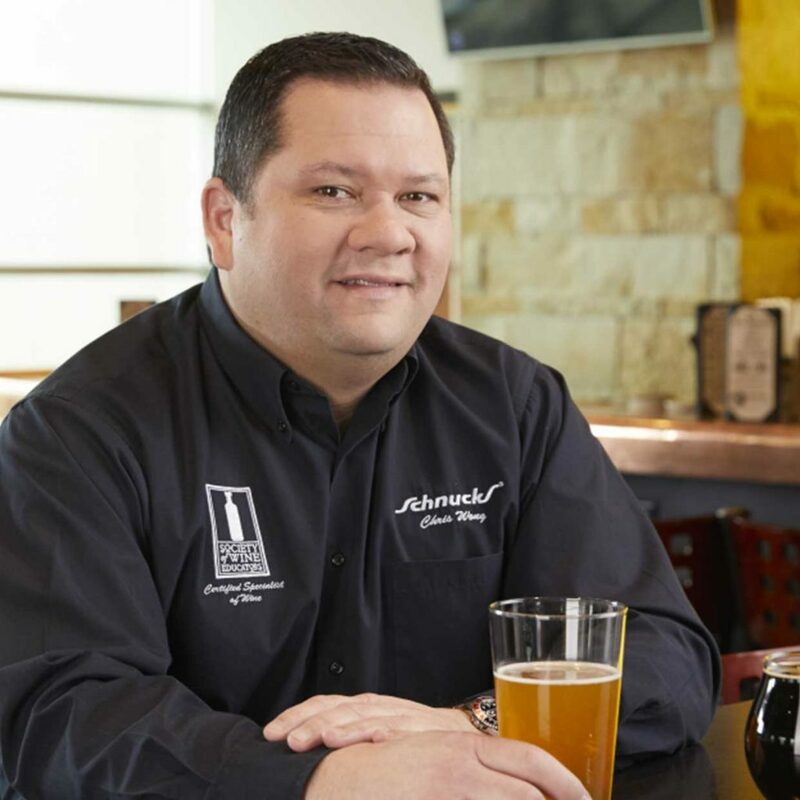 In 2011, Schnucks had a large number of Certified Specialists of Wine already, and I thought to myself “if only they had such a thing for beer.” Chris Wong, Director of Wine, Spirits and Beer at Schnucks, told me about the Cicerone program which was still a fairly new thing in the industry. I investigated the program and found out just how rigorous it would be to earn the title of Certified Cicerone. I would have to pass a lengthy multiple choice and fill in the blank written test, write three essays, pass a blind tasting test and demonstrate the assembly and identification of parts of a beer faucet. Wow, what a challenge! Not to mention I had to first become a Certified Beer Server by passing a multiple choice exam. I spent almost two years of self-study and exploration of beer. Hundreds of styles, history, brewing techniques, ingredients, off-flavors, food pairings, etc. There was so much to learn. But, I really dedicated myself to learning it all. And let’s face it, trying hundreds of beers to learn flavor profiles isn’t the worst homework assignment. After countless hours and beers, I sat for the exam and earned a 92% overall. My Twitter handle, @schnucksbeerguy, is a great place to find interesting beer news and other information. I will tweet info about special releases and events in our stores. I like to communicate with my almost 3,000 followers, and I will usually be able to answer questions. If not, I direct customers to the appropriate resource. This delicious frosé recipe features Nobile Vines from Delicato Family Vineyards. Enjoy frosé your way, courtesy of Delicato Family Vineyards. Hop in and sample a variety of rosé wines – perfect for all of your Easter and spring entertaining! 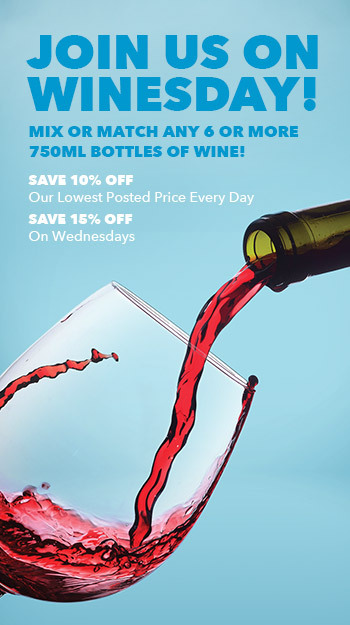 Since it’s Winesday, you’ll save 15% Off wine when you buy any 6 or more 750 ml bottles. Sample 4 Hands new line of vodka and gin! 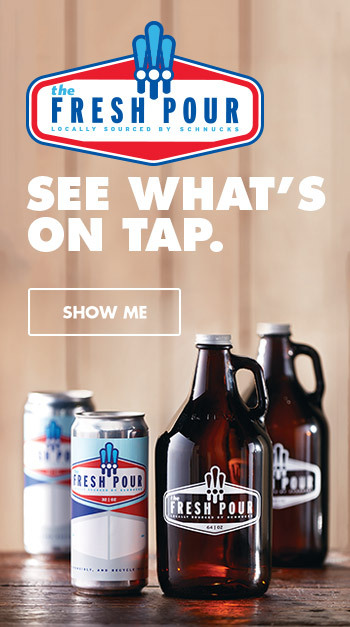 On tap: Ripple White Ale, Contact High Juiced, Passion Fruit Prussia, City Museum Pilsner and a mystery beer. Sample a new line of canned cocktails from Boulevard Brewing! and Ale d’Or – brewed to celebrate St. Louis Football Club.